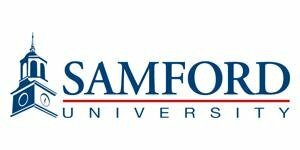 We want to welcome the Samford University students to Abrams Elementary on April 18th. They will be observing our wonderful teachers and students for a little over two weeks! We appreciate the opportunity to share what 'WE' do here at Abrams Elementary School with these "soon to be" new teachers. Our meet and greet with these young ladies took place before Spring Break and was a great success. Teachers and students alike are excited to have them here at our school. Remember, if you see a new face here at Abrams when you are visiting, make sure to welcome them to our school.